Sanguine et Purpure: What's this blog about? We are the "Unofficial Blog of Sigma Phi Epsilon Fraternity." We started this blog with one goal in mind: Connect the SigEp chapters from all over the country with each other independent from HQ influence. When we started there were few channels of information transfer that did not pass through HQ and that presented a bottleneck. The official "Journal" just comes out four times a year and the space is limited so there is news that happened as long ago as 4-6 months, and because of space and 'branding' concerns it is almost always positive. Other communication is usually targeted to specific groups (e.g. Chapter officers) so does not get spread around. Those methods are OK, as far as they go. But we saw another need. A SigEp from Maine might just want to know what the SigEps in California are doing. If the California guys are doing something awesome, the Maine guys might need to know it. And if there is a chapter that has really screwed the pooch, everybody needs to know about it so they don't repeat the mistakes. In the time since we started HQ has become much more responsive, with the monthly "Sound Bites" postings and even a blog for the Regional Directors (traveling staff), and we applaud those actions. But a healthy independence from editorial over-site is still important. We are independent of HQ, but not hostile. Some great programs and people have come out of Richmond, and SigEp would not be as influential as it is without great leadership. But even great organizations can benefit from constructive criticism now and then. Sometimes you need to call it like you see it, even if that doesn't reflect the "party line." We are here for that, too. So come in, look around and check us out. Like us on Facebook - Please! 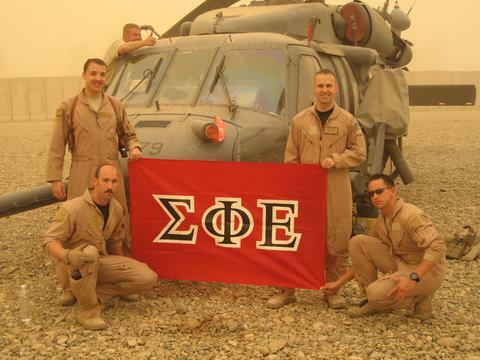 If you are not a SigEp, no problem. All are welcome here: Parents, prospective members, wives and girlfriends (or boyfriends - no discrimination), even GDIs and Sigma Chis. This blog has no secrets. All we ask is that if you have something to say put it in a comment so we can all benefit from your input.